Have you seen Libby speak? Leave a review. 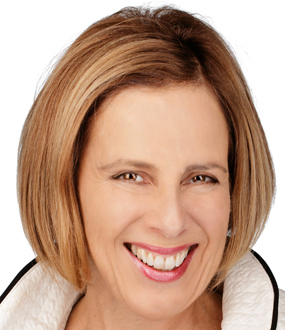 Libby Gill demonstrates how to achieve peak performance through personal development to an impressive roster of blue-chip clients. A passionate speaker on women’s issues, the renowned former media head brings her expertise in leadership development and life balance to each one of her speeches. Libby’s clients have included ABC-Disney, AMC Networks, Avery Dennison, CA Technologies, Cisco, Comcast, Deloitte, Eli Lilly, GoDaddy, Kellogg’s, Microsoft, Nike, Oracle, PayPal, Royal Caribbean Cruise Lines, Safeway, The Conference Board, Warner Bros., Wells Fargo, and many more. In great demand by the media, she has explained her views on CNN, NPR, the Today Show, and in Businessweek, Time, The New York Times, and the Wall Street Journal, among many others. 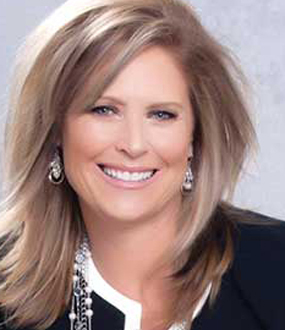 Libby’s credits include running the PR and branding for the launch of the Dr. Phil Show. Her expertise lies in helping businesses access both the heads and hearts of customers, colleagues and communities. 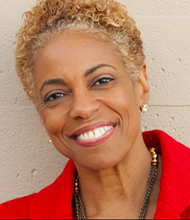 Her coaching and speaking is a must for companies looking to create a bold leadership/personal accountability culture. A bestselling author who has had the courage to reinvent both her personal and professional lives, Libby has written movingly of breaking away from a toxic family legacy of alcoholism, divorce, mental illness and suicide in TRAVELING HOPEFULLY: How to Lose Your Family Baggage and Jumpstart Your Life. Her latest book Hope IS a Strategy: Leading through Change, Challenge, and Chaos will be available in Spring 2018. Libby Gill’s keynotes and coaching focus on unblocking the paths to higher performance and innovation: the “stuckness” as she calls it. She demonstrates how having hope can energize your vision to enable you to rise to every challenge. In addition to demonstrating how to bring innovation and bold leadership to all levels of your organization, Libby can share the secrets of her bestselling book Capture the Mindshare and the Market Share Will Follow that shows how to capture the trust and loyalty of your customers and clients in order to maximize your business. 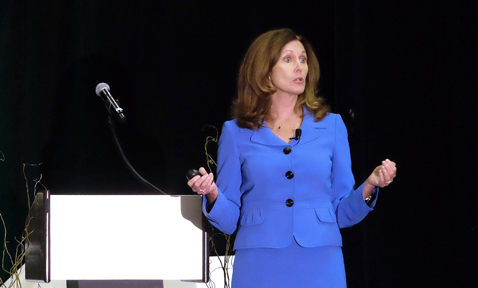 In her dynamic keynote, Libby shares the scientific data on Hope Theory as well as her own research and insights on the impact of hope on the workplace. She demonstrates why hope is one of the most important elements of successful leadership and culture - as well as one of its most overlooked. She provides relevant company-specific customization and a dynamic interactive approach that gets audiences thinking, talking, and - most important - taking action on new ideas the very same day. 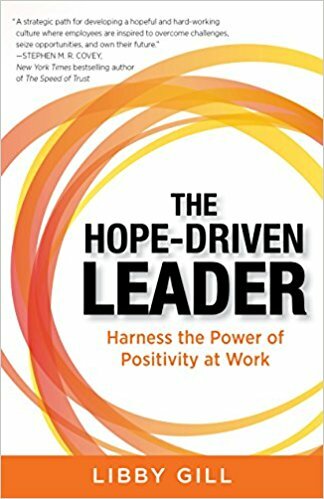 • Infuse your team with vision and vitality by learning the science-based benefits of Hope Theory. • Discover why high-hope people set more goals, identify goals which are harder to attain, and are more successful at reaching their goals than lowhope people. • Experience a rousing call-to-action that will leave participants equipped - and responsible - for their own success. • Set the tone for learning before the event by having participants take the YourCareerQuiz.com assessment to see what's working and what's not in their careers. • Discover 5 Reasons We Resist Change and how to overcome them. • Identify and overturn your personal and organizational excuse-making behavior - the Immediate Negative Response - and replace it with bold action. • Discover the 4 traits that followers crave from their leaders. 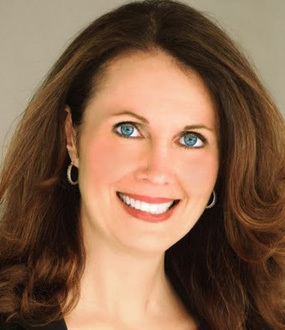 • Master Libby's proven CSE Process to "Clarify the vision, Simplify the path, and Execute the plan” with bold risk-taking and flawless follow-through. • Learn the Language of Leadership - regardless of professional level - to influence and inspire others even in times of chaos. Libby surprises audiences when she tells them that she looks forward to the day when women's leadership events are no longer held because we need them, but only because we want them. • Craft a Credibility Booster that establishes immediate rapport and connection. • Tap into uniquely female strengths by identifying your Leadership Superpower. • Master 5 Strategies to Stop Being Humble to a Fault so you can boost confidence and step into your power. Once you understand your beliefs, both individually and institutionally, you can begin to change your behaviors. GILL: I want people to recognize how their beliefs drive their behaviors, intentionally or unintentionally. Once you understand your beliefs, both individually and institutionally, you can begin to change your behaviors. I want those who attend my presentations to leave with a renewed sense of energy, a fresh perspective, and a few solid strategies that they can implement right away to make a positive impact on their teams, cultures, and companies. SPEAKING.COM: What kind of prep work do you do prior to an event to prepare for your speaking engagements? GILL: So much of speaking is in the preparation. I read everything I can get my hands on about the company or industry, and then I personally interview a number of people who will be attending the event. 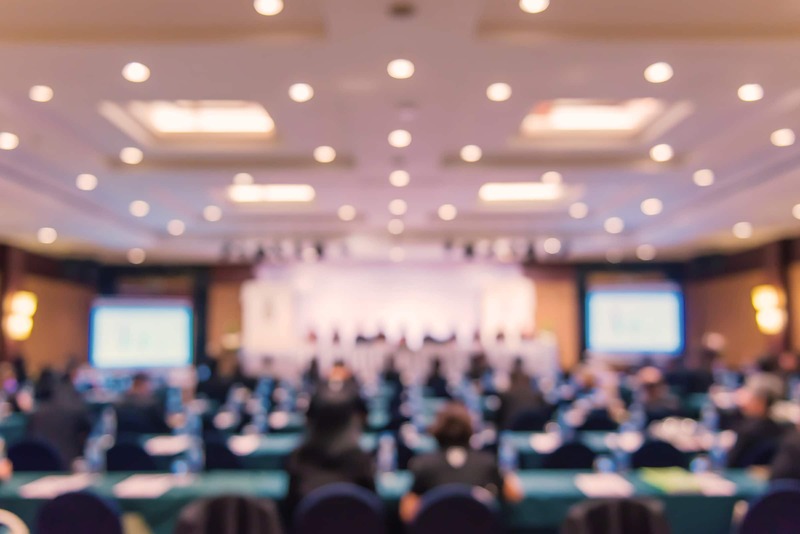 Ideally, I speak with attendees who will provide me with a good cross-section of the audience — different professional levels, challenges, and objectives. That’s the best way for me to tailor my remarks so that they are relevant and timely. SPEAKING.COM: Have you had any particularly memorable speaking engagements while on the road? GILL: I’ve presented to groups worldwide, so there’s always something new and memorable that happens while traveling. Most recently, I had the privilege of keynoting for several groups in Kuwait. Because of my Hollywood studio background, I was on a panel alongside titans of the Kuwaiti media industry and was humbled (and a little embarrassed) when every question from the audience was addressed to me. Because my message is about playing at the top of your game — and then challenging yourself to go even higher — it’s appropriate for people at any career stage. GILL: I love speaking to individuals and organizations that are hungry for change, but might need a little push to get them moving forward, taking risks, and trying new things. I often keynote for large corporate or association events attended by professionals of all levels. Because my message is about playing at the top of your game — and then challenging yourself to go even higher — it’s appropriate for people at any career stage. In fact, it’s really exciting when there is a group that runs the gamut from entry level up to the C-suite. GILL: Although I was very successful in my corporate career, I often found the workplace environment needlessly punishing. Not only did management often pigeonhole people into roles with limited chance for growth (I overcame that! ), but there was often a lack of kindness and humility that I didn’t like. It was particularly difficult to find role models, so I vowed that if given the chance, I would share a sense of hope as well as strategic tools with people who wanted to advance their careers. Fortunately, that’s exactly what I get to do as an executive coach and speaker. When it’s relevant to the audience and they can walk away thinking about how to adopt a similar strategy or process in their own workplace, then I know I’ve struck gold. SPEAKING.COM: How are your keynote presentations unique, and how much do case studies, personal stories, and/or humor factor into your speech content? GILL: I try to find unique ways to help both established and emerging leaders bring out the best in themselves and their teams, and ultimately guide organizations to instill a deep sense of purpose that drives aggressive action. One tactic that I use to achieve this includes showing the audience the links between their beliefs, behavior, and accountability. To that end, I find that case studies can be extremely helpful in conveying information about a challenge that an individual client or client company faced and how they overcame it. When it’s relevant to the audience and they can walk away thinking about how to adopt a similar strategy or process in their own workplace, then I know I’ve struck gold. As for personal stories (and I’ve got some pretty compelling ones), there is no better way to establish a connection with any audience than to let them know you’re one of them. Humor is also important. If I weren’t ready to have fun on the platform, would I ever share that I am a former tap-dancing bear? With the photos to prove it? SPEAKING.COM: What are some of the successes you have helped clients achieve? GILL: It’s pretty rewarding to look back at a long career (actually two long careers) and know that you have helped people transform their lives. Certainly, helping Dr. Phil establish the brand for his television show was a major milestone. I’ve also shepherded an attorney into elected office and guided an environmental engineer to become an entertainment executive. Change really is possible if you have passion, a plan, and a strong dose of accountability. The first step to re-energizing your workforce. "I find that organizations often overlook what I believe should be the first step to motivate and engage their workforce: infusing a sense of hope into the culture." “I need a Daruma! Everything about the ‘god of perseverance’ spoke to me! The business and self-help shelves may be overflowing with success books, but author Libby Gill has found a totally fresh perspective on the topic of leadership: hope. Zeroing in on what she sees as the defining issue of creating a more purposeful and productive workplace, Gill explores how the science of hope theory, which she describes as “the interconnection between beliefs and behaviors,” can shift mindsets from siloed to collaborative and productivity levels from sluggish to robust. In You Unstuck, Libby Gill uses cases studies, client stories from her coaching work, and brain research to help readers understand the biological basis of fears that hold them back. She shows how to reframe what she calls Riskophobia, turn off the fear voices, and circumvent ancient defense systems. Readers can then create an Escalating Risk Hierarchy by “chunking down” their vision into small, actionable steps, ordered from least to most anxiety inducing. By combining stress-busting relaxation techniques with small action steps, the readers’ odds for realizing their vision greatly increase in this Relax, Risk, Repeat cycle. Gill also shows readers how to “Avoid Limiters & Embrace Liberators,” keeping naysayers at bay while seeking influential supporters who can help free their creativity and productivity. Capitalizing on her business background, coaching expertise, and a personal history of risk-taking and resilience, Gill makes complex concepts relevant and accessible through immediately applicable tools, exercises, self-tests, and questionnaires that challenge readers to change. With courage and candor, Libby poignantly discloses how she struggled with a family legacy which included divorce, mental illness and molestation, robbing her of her best possible life until she learned to dissect the past so she could direct the future. With a transformative process she calls the Five Steps to Jumpstart Your Life, Libby provides practical tools and down-to-earth insights that translate abstract concepts into concrete action. Filled with tips and tactics, personal accounts, and client success stories, Traveling Hopefully shows readers how to create big-picture visions and turn them into bottom-line action so they can lose their baggage and live the life of their dreams.